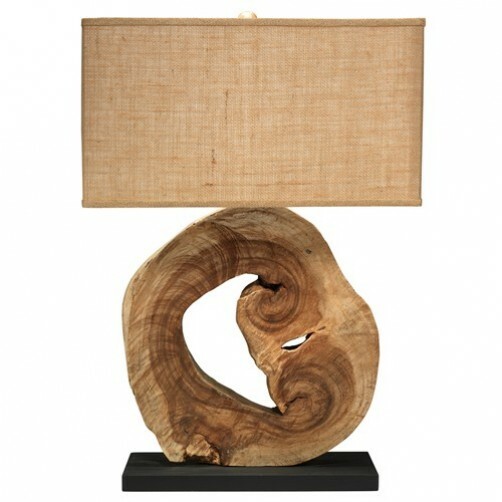 The Jamie Young Acacia Table Lamp features a gorgeous piece of acacia wood on a black base﻿. Lamp has a 3-way socket. Maximum 150 watts. Total Height - will vary from 30.5" - 36"